Do I need to have studied a specific subject? This will depend on the nature of the roles in which you’re interested. However, Amy and Lauren were really keen to highlight that most roles in this sector are not necessarily looking for graduates with specific degree disciplines. Even for many technical roles, if this is something you have experience of – perhaps through work experience, or as an interest in your spare time – this experience is often more important than studied a specific subject. Do you use and understand – in a business sense – relevant digital platforms? What relevant experience do you have? This could be anything from blogging, producing or editing a video etc. Think broadly when considering your experience; it doesn’t have to have been gained through formal work experience. It could be as part of a module, through involvement in clubs or societies, something you’ve helped a friend with or that you do in your spare time. 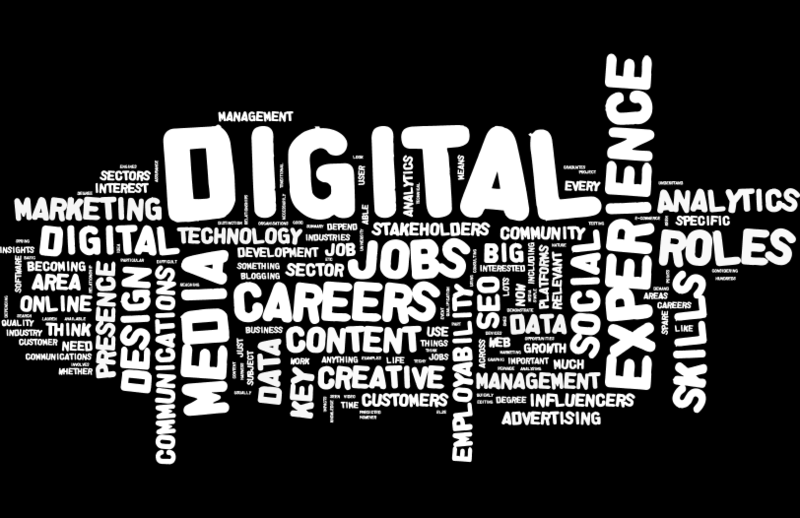 Bubble Jobs predicted five key areas of job growth for the digital sector. These are based largely on where they have seen recent increase in demand from employers. Social Media and Community Management: Roles in this area are becoming more holistic than just social media and have moved much more toward community management which involves reaching out to and developing relationships with key influencers, customers and other stakeholders. Digital Communications: There is less of a distinction between digital and traditional forms of communications. Marketing, advertising, PR, communications and related areas are becoming much more integrated and central to all businesses. In particular, Lauren highlighted this as a growth area in the charity sector. Big Data & Analytics: We all generate masses of data every day and organisations are keen to harness this – which means analysing it – whether this be for customer insights, to improve their services or products, to effectively target advertising or anything else. User Experience & User Interface Design: The more we depend on digital devices in our daily lives, the more important it is for us for this to be a simple and straightforward experience; being able to find what we want quickly and easily, from whichever device we choose to use. We are here to help you with everything from getting experience, thinking about your future plans to making them happen. Talk to us to find out how we can help you. This is very true…I am one of those people who hasnt been a part of the ‘techy’ world for along time.